Kicking off in just a few days, on Friday April 12, is the 2019 Coachella Valley Music and Arts Festival. And that means that the music festival season is finally upon us. The music festivals of today are not your mother’s “Woodstock”. Far from it in fact! Coachella is a place to see and be seen, just as much as it is a music and arts event. This is true of most of the major music events you’ll be attending this spring and summer. You just never know who you’re gonna run into (Trust Us On This One!) and you want to look picture perfect. 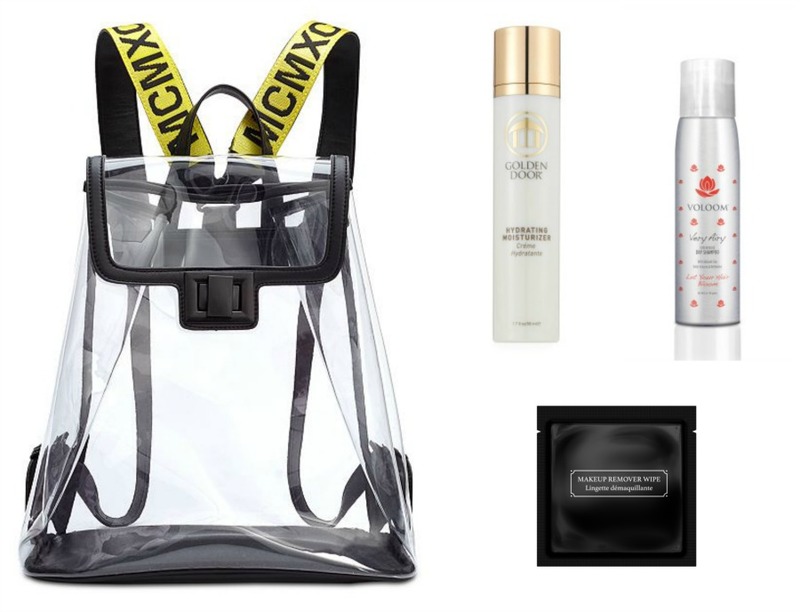 Read on to find out what you do (and don’t) need to look festival festive! Let’s start with a quick rundown of your wardrobe. Um … you’re going to be outdoors all day … and night. Not to mention that temperatures in Indio will be in the 90s. Dress in light, breathable fabrics. But, don’t forget something a little warmer for the evening because the temps can go down into the 40s at night. 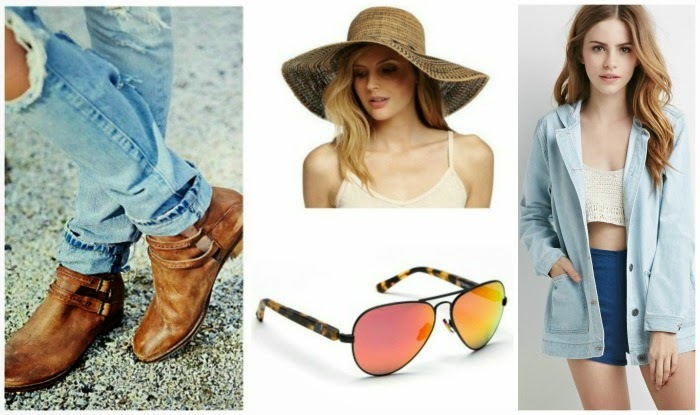 To get a better idea of the temp and terrain check out TME Picks: Michael Stars Faded Shade Floppy Hat; Free People Ankle Boots; Westward Leaning CONCORDE 10 Sunglasses; Forever 21 Hooded Denim Jacket. As for your beauty products, this is a place to keep it simple. We actually read a perfume suggestion for Coachella and just about died laughing. 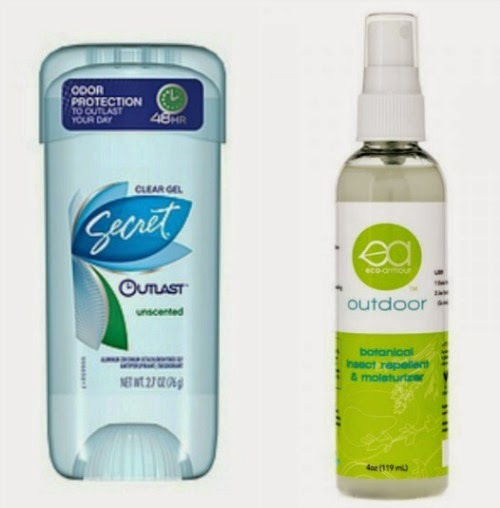 You all know we love our fragrances and we love our Fragrance Of The Month series, but anyone who’s been to a warm weather outdoor festival knows that fragrances are a lovely way to attract insects and piss off other festival-goers. However, deodorant is a must. TME Pick: Secret Outlast. And speaking of those bugs check out Eco-Armour Outdoor Botanical Insect Repellent & Moisturizer. Eco-Amour is a TME Favorite for a million reasons, but the double-duty Outdoor is a must-have for Coachella and all summer long! 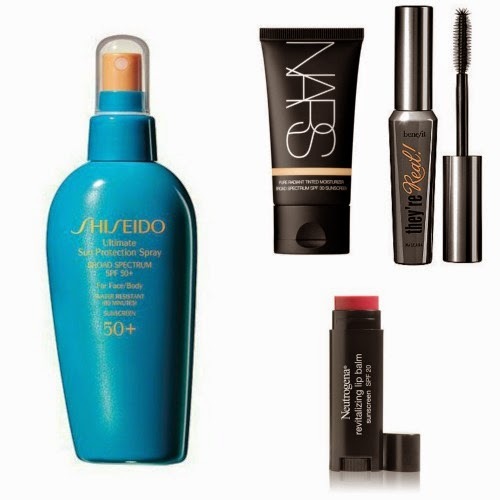 To begin your music fest beauty regimen, first and foremost are sunscreen and beauty products that contain sunscreen. 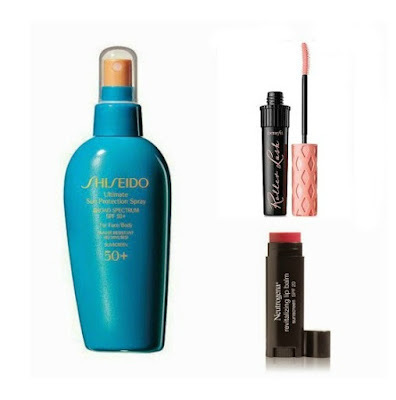 For all over protection our pick is Shiseido Ultimate Sun Protection Spray Broad Spectrum SPF 50+ For Face & Body. Next up is BB Cream or Tinted Moisturizer. TME Pick: NARS Pure Radiant Tinted Moisturizer Broad Spectrum SPF 30 ($43 - available in 11 shades and travel size) is an oil-free formula that provides buildable coverage with the sun protection you need. Mascara … if you must. We all have our favorite brands for everyday, but there is only one mascara that we’d wear (if we were going to bother) at Coachella. Benefit Cosmetics Roller Lash Super Curling & Lifting Mascara because it will not budge until you take it off. This isn’t our favorite type of mascara for everyday, but again, if you have to wear mascara this is the one to go with. Just as we would probably skip the mascara, we would NEVER skip the lip balm. Tinted lip balm is a must to keep your pout pretty. TME Pick: Neutrogena Revitalizing Lip Balm SPF 20 ($8.99) is available in six shades and will keep your lips from getting sunburned and chapped, while giving them a tint of color. Throughout the day (and night) you’re going to want to freshen up. Golden Door Yuzu Face & Body Mist is really soothing and nourishing anytime you feel like hydrating your skin. 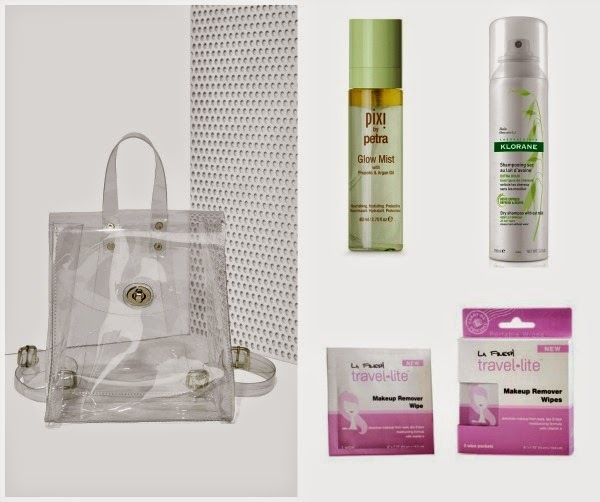 Also, an absolute must-have is a pack of cleansing cloths like La Fresh Glam Makeup Remover Wipes. As for your hair, we recommended that cool Michael Stars hat for a reason, but you may also want to opt for dry shampoo. TME Pick: VOLOOM Very Airy Dry Shampoo.